In the debut episode of Mila J: Made in LA, the singer shows viewers around her hometown of Los Angeles including Leimert Plaza Park The "Smoke, Drink, Break-Up" singer takes fans on a journey around the L.A. she knows and loves, including Leimert Plaza Park. We also meet Mila's father, Kamaro "Dr. Chill" Chilombo, and, together, the pair show a different side to L.A. and give a little insight into Mila's childhood. They showcase that the city is much more than Hollywood, the glitz and glamour city that we all see on TV and in magazines. Kim Kardashian West and Kanye West definitely heat things up in their new Balmain ad campaign! I'm in LOVE with this campaign! We all know that Kim and Kanye are very fashion forward, so it's perfect for them to do together. Congrats to them for snagging the job! Check out more of the hot pics below! On Thursday, December 18, I was blessed with an opportunity to attend and cover Anthony Hamilton's "Home for The Holidays" tour stop in Washington, D.C. The tour features soul singers Leela James and Mali Music, and it was an amazing show! All three of these great acts were the perfect combo for this tour. The vibe with everybody was positive and chill, and I had so much fun, singing and dancing to wonderful soul music all night! Read more on my experience, and check out some photos and video below! Nicki Minaj keeps winning! She just released The Pinkprint this week, which is getting great reviews, and now she's in a new campaign! The rapper will be featured in the Roberto Cavalli Spring/Summer 2015 campaign! Check out some more pictures below! Whenever my girl, designer Ashley Chin asks me for a feature on something she’s got going on, I do it in a heartbeat (literally search her on this blog)! Today, I want to give a little shine to her amazing store, Lux House Mob! 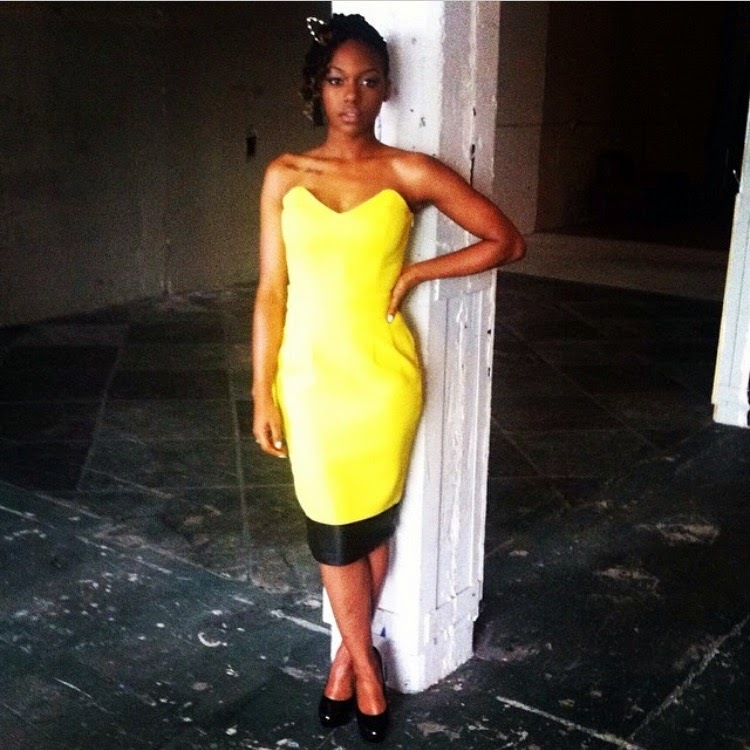 “I think after being a stylist for so long, eventually, I began to outgrow it in some ways. I wanted more for myself and my brand,” Ashley said of starting the store. Back in 2013, I spoke with her and she was planning for a boutique named Vane For Decades, which she changed to Lux House Mob. “I thought it fit me and my direction better,”Ashley said of the name change. Currently the store offers ring sets, body chains, and beanies, a lot of which have already sold out (my own ring sets are on the way)! However, Ashley has plans to expand the store, working on faux leather clutches that she designed, as well as more body chains, earrings, statement necklaces, and midi rings. “Slowly I’ll start adding in bags, hats, and clothes," she stated. For the future, Ashley wants her brand to speak for itself. "I want someone to see a product while their out and know it's Lux House Mob," the designer said. "I learn a lot from Sophia of Nasty Gal and my main thing is making my customers happy and providing top quality." Lux House Mob definitely has great products, and I can't wait to see more from Ash! 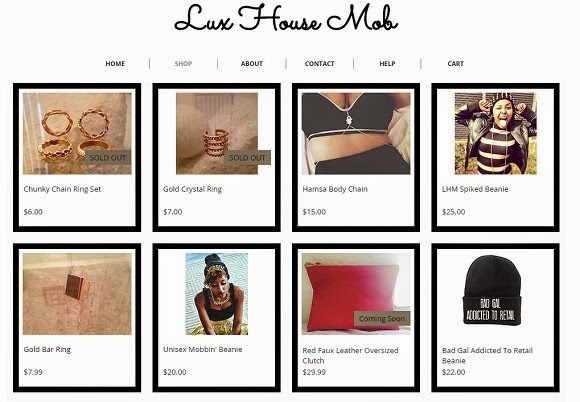 Shop Lux House Mob here! Also, be sure to also check out Ashley's official website and follow her on Twitter and Instagram! Another spotlight for you all today! As always, if you or someone you know is interested in a feature on The Spotlight, please email me at BrittanyShawnte@gmail.com. Fox has officially released a promo for Glee's upcoming sixth and final season! 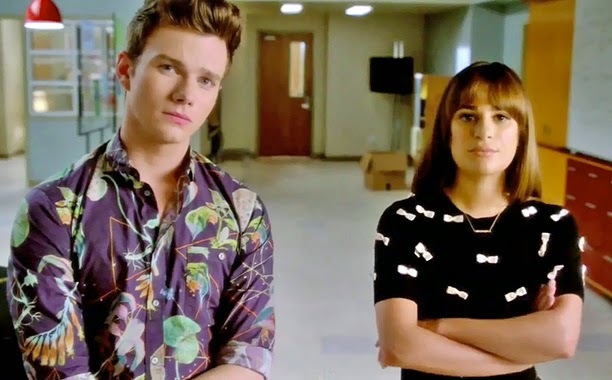 In the short trailer, Rachel and Kurt return to McKinley High to reinstate the Glee Club, which will bring them head to head with Sue Sylvester. There's also a run in with the Dalton Academy Warblers, and Rachel sings everyone's favorite song, "Let It Go!" (*Sarcasm* It's a good song, but it's time to let it go!). I'm not exactly all that happy that Rachel and Kurt are back in Ohio, since they should be making their dreams come true in New York. However, as a true Gleek, I'll be watching! Check out the short promo below! Continuing to keep the spotlights coming! As always, if you are or know of artists, producers, designers, etc., that should be featured on The Spotlight, email me at BrittanyShawnte@gmail.com! Today, on the blog, we have McCro Music Group! 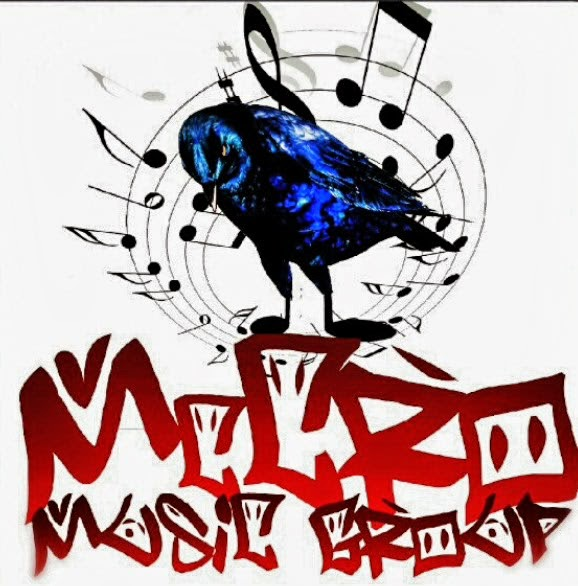 Founded by producers Darnell McCro and Don Vanhorn, who I had the great pleasure to speak with for a while.McCro Music Group is dedicated to catering to the artists, not just being beatmakers. Read up on how these two talented and humble producers got their start in music, how they first connected, and where they hope to take McCro Music Group in the future! 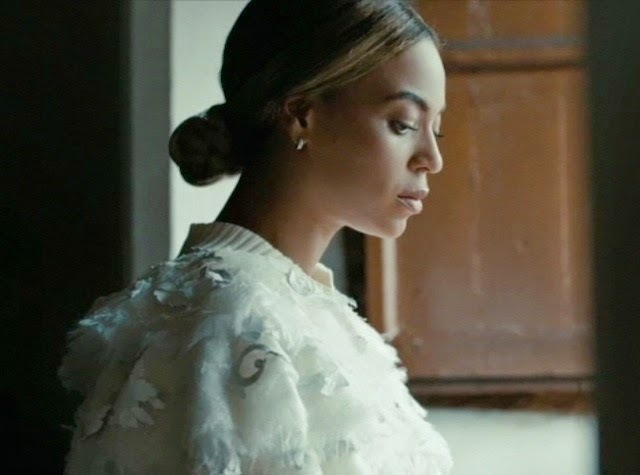 Beyoncé is celebrating the anniversary of her self-titled surprise album with a short film "Yours and Mine." The 2015 Golden Globes Nominations Are Out! 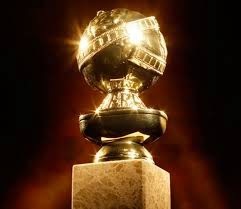 The 2015 Golden Globes are right around the corner, and the full list of nominations are out now! Comedic actressesTina Fey and Amy Poehler will host the show for the third time on Jan 11, 2015, and there's a lot of great films and shows up for awards! See who made the cut below! Love to feature upcoming people on the blog, and not just artists! The Spotlight features a multitude of entertainment industry professionals from designers to producers, to marketing firms! Everyone is welcome (Check our Interviews section).As always, if you are or know someone (artist, producer, designer, etc.) 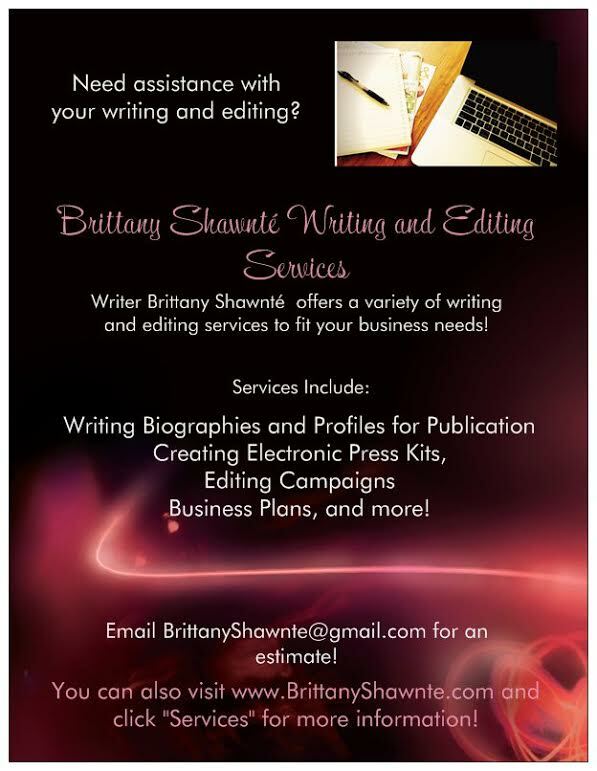 that should be featured on the blog, please email me at BrittanyShawnte@gmail.com. Today, we have GLE (Get Lifted Enterprise) Marketing GLE is a full-service promotion, marketing, and branding firm based in Potomac, MD. Founded by Dontè Reams, GLE offers a variety of services including sales & business development, event productions, talent management, and media & marketing services, developing creative plans for high-profile clients. I've never done too many hip hop reviews for Spotlight or any of the websites I've written for honestly. The last one I remember doing for a mainstream artist was my review of Wale's sophomore album Ambition back in 2011...and that was for a music writing class my senior year at Loyola (*laughs*). 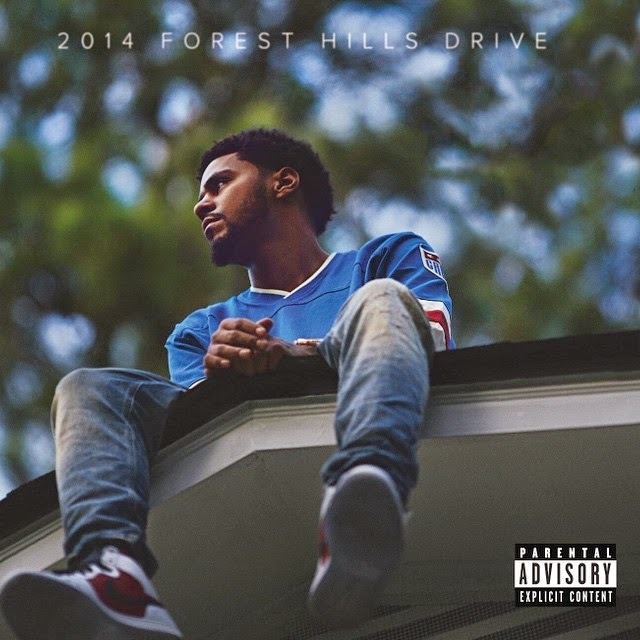 However, I'm trying to do more music and movie reviews, and it starts with the albums that I'm actually buying, which includes J. Cole's junior album, 2014 Forest Hills Drive. Cole did something different this time around by deciding not to collaborate with anyone or drop any singles, just giving his listeners a release date of December 9th, an order link on iTunes, and a video for his Intro as he rides his bike through NYC. Now the album is here, and the reviews are mostly pretty good! What I respect about Cole is that he is really is about his music. Sure, every artist is somewhat driven by sales, but some artists take it too far releasing terrible content with a catchy hook that the audience is sure to dance to (*insert whoever's name here*). To me, Cole isn't like that. He carefully crafts his lyrics, which, as a listener, I love, because he is one of very few rappers who makes me think (as a blogger, I get annoyed when I can't get it, because I'm trying to write a damn review here!). Throughout the album, Cole literally takes listeners on a journey through his younger years until now, and you really get a feel for who he is as Jermaine and not just J. Cole. Check out my song by song review below! 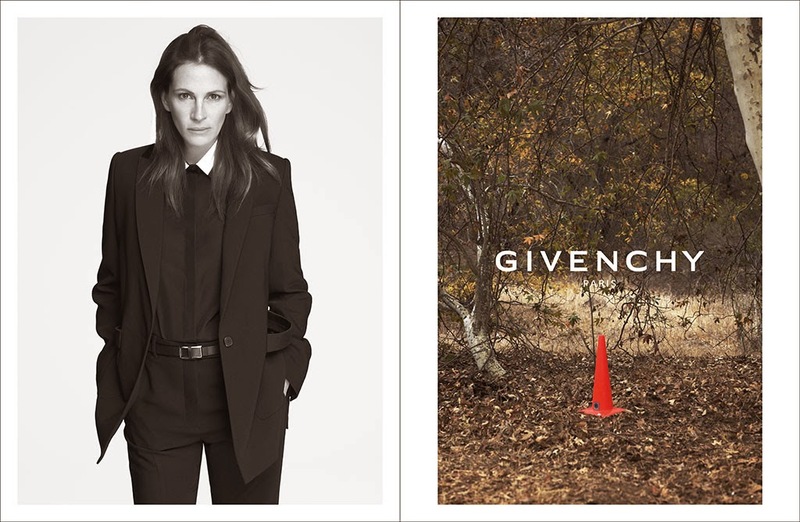 Julia Roberts is now the new face of Givenchy's Spring 2015 campaign! In her picture, the actress rocked a tuxedo in a a black and white shot. According to E! Online, creative director Riccardo Tisci told Yahoo Style that Julia was his first pick for the campaign. "A lot of people see Givenchy as only 'haute couture,' or only 'street and urban,'" he began. "For me, Julia is many things. She has this strength as an actress, but she's also this beautiful American woman. She's a big star, but she's not a paparazzi or a blog monster. It's going to be my tenth year at Givenchy in March, so I wanted to represent the woman who is more mature, beautiful, talented, but also unpretentious." British royalty meets music royalty! 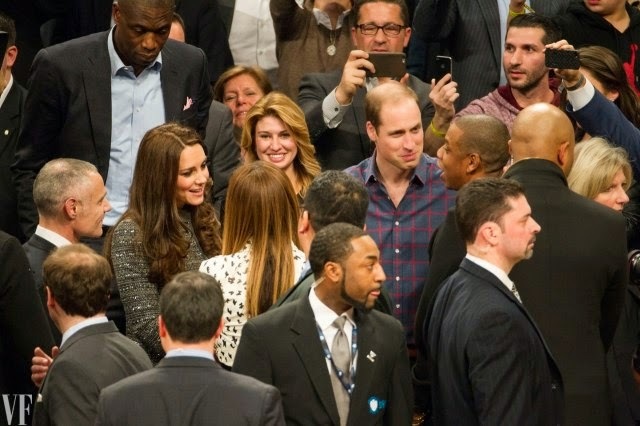 Prince William and Kate Middleton met Beyoncé and Jay Z last night at the Brooklyn Nets game! According to an attendee who spoke with Us Weekly, the Duchess and Duke got to the game seven minutes into the third quarter, sitting next to retired NBA player Dikembe Mutombo, who reportedly explained the game to them. Jay and Bey, who were also in attendance, walked across the court to meet them, all while while "God Save the Queen" and then "Crazy In Love" played! As previously reported, the Royal Couple is visiting the States, making some appearances and conducting meetings and what not. Good to see them just relaxing and having a good time! Blake Lively was spotted out and about in the NYC streets on Monday, Dec. 8, glowing and looking gorgeous! The actress, who got all glammed up, literally to go to The City Bakery, rocked a slate sweater, fur-trimmed charcoal cape, and leather J Brand leggings with six-inch booties. Us Weekly, who snagged the pictures, said the fly maternity outfit was reminscent of Blake's days at Serena van der Woodsen in Gossip Girl, and I have to agree! That bag alone needs to be in my closet! Two of the pieces are available on her lifestyle site, which sells clothes from some great underground designers. The cape is by Alicia Adams Alpaca ($895), and the stacked golden cuffs are by Mikal Winn (from $132 to $144). I can only PRAY I look half as stylish when I get pregnant (years and years from now!). Seriously, this photo is so good, it could be her new avi easy. And all she looks to be doing is crossing the street! Country singer Miranda Lambert snagged the cover of the January 2015 issue of Marie Claire, openly discussing her marriage of over three years to Blake Shelton, her weight loss, and her feelings on creating music. Miranda admits that she's head over heels in love with Blake, admitting that he's the light of her life. "I'm not sunshine and roses. Blake's the happiest person on the planet,” she told Marie Claire. “He pulls me out of my darkness … Literally, everything is the best about being married." The singer also opened up about her recently weight loss (she dropped around 20 pounds earlier this year!). "When you have to walk out there in front of thousands of people, it does feel good to know that your s—t’s not jiggling, I’m just like anybody else, insecure and scared of looking bad or being criticized," she admitted. However, she included that it's not as big a deal as everyone is making it out to be. "Everybody's making this big, giant thing about it. It's way too much focus on women's bikini photos, and I hate it. Why do we care? I want women to love themselves whatever they've got going on," she continued in the interview. Royalty has arrived to the States! Prince William and Duchess of Cambridge Kate Middleton arrived in New York City Sunday, Dec. 7! According to Us Weekly, the royal couple is currently staying at the Carlyle Hotel in Manhattan's Upper East Side. "It's good to be here," William told the hotel's managing director Giovanni Beretta before being escorted to his suite. William's own mother, the late Princess Diana was a great fan of the hotel during her trips to the States in the '90s. It's not all fun and games for the couple, of course. They're going to be very busy with meetings and events during their stay! Shortly after their arrival, they headed to a private event for the American friends of the Royal Foundation. Today, Dec. 8, Prince William will travel to Washington, D.C. to meet with President Barack Obama and Vice President Joe Biden at the White House and then off to the World Bank to discuss illegal wildlife trafficking. He will then fly back to NYC and check out a Brooklyn Nets basketball game at the Barclays Center (no word if Kate will be in attendance, but it would be a fun date night!). Hoping that Prince William and Kate enjoy their stay! K. Michelle's sophomore album Anybody Wanna Buy A Heart? is set for release on December 9, 2014. Almost a week ago, the singer has teamed up with her home network VH1 to stream the album, and I'm glad I was able to take a listen before the album dropped. What separates K. Michelle from many other singers is that she is REAL. Real to the point where she can admit that the man she loves has a baby by another woman, and she'll never be able to compete with that. She wears her heart on her sleeve, at least when it comes to her music, and, in a world of commercialized artists who are starting to sound mostly the same, I will always appreciate that about this woman. AWBAH gives that rawness that we've come to expect from K. Michelle, but in a much more mature way. It's clear that K has been busy writing with other songwriters, and experimenting with different sounds, and it worked in an incredible way! I consistently find myself hearing about or getting invited to a bunch of different industry events, and now I'm starting to actually go check some of them out. As I've stated before, it is my goal to get out there and learn and network with people, all in the hopes of growing professionally and personally, and having a good time too! Today was the first annual Made in the DMV Conference, which featured music and media professionals in various workshops and panel discussions, giving their advice to mainly upcoming music artists but also bloggers as well. Some of the panelists included Tony Lewis, Jr. (DCorNothing), DJ Heat (WPGC 95.5), DJ Money (WKYS 93.9), Zechariah Wise (Depth Charge), Angela Byrd (IGotIt4Free), DJ Marauder (The Fader), Kayenecha Daughterty (Grammys DC Chapter), Rob Markman (MTV), and so many more! Topics included monetizing your movement, branding, submitting your music to media, and a ton of other great material that was absolutely FREE! The best way to really make it in this industry is to learn how it works and then take that information and hustle. It was great to see so many people out, and it wasn't just artists. I saw fashion designers, graphic designers, bloggers, and a bunch of others all there to learn, discuss, network, and grow. It was amazing. There was also a concert/showcase for handpicked upcoming artists tonight as well, though I wasn't able to make that. I'm sure it was amazing though! Check out some of my pictures from the Made In The DMV conference below! 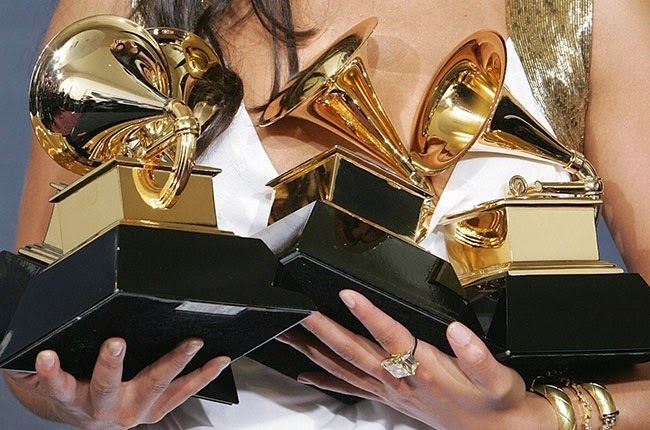 List of the 2015 Grammy Nominations! year for music, and I'm excited to see who's going to be winning this year! Sia, Iggy Azalea, Beyonce, and Sam Smith are a few of the artists who led the pack, so it's definitely going to be a good award show. Check out the major list of nominees below, courtesy of Billboard! You can check out the entire list of nominees on the Grammys website. I've bolded some of my picks. Did your favorite make the list? After Lifetime's failed Brittany Murphy and Aaliyah biopics, many have understandable doubts Angela Bassett-directed biopic of the late great Whitney Houston. However, the official trailer for Whitney may just change your mind! Lifetime has released the clip for the biopic, which stars Yaya DaCosta. Yaya is giving it EVERYTHING SHE HAS in this movie! The trailer showcases Whitney and ex-husband Bobby Brown's volatile relationship, including their fights and drug use. I LOVE Yaya as an actress, and she isn't disappointing at all. I'm actually excited now and can almost breathe a sigh of relief. Whitney premieres on Saturday, January 17, 2015 on Lifetime. Check out the trailer below!